We've heard this often over the last 18 months in our execution of a strategy that we call "blog to brick." This strategy is leading us from building one of the most popular LGBT media sites in North America, Unicorn Booty, to a restaurant, cafe and bar in the Bywater neighborhood of New Orleans: Booty's. The blog was the beginning, and the bricks are the evolution. We are passionate believers in this change, and our session will share the who, what, where and, most importantly, the WHY of Unicorn Booty's blog-to-brick progression. Attendees will be brought through three phases: 1) The Idea, 2) The Journey, and 3) The Future. We believe blog-to-brick is one very real future for online media, and want to share our knowledge with other online content creators so they can capitalize on their own online audiences in unconventional offline settings. It turns out that diverse revenue streams are just as essential to bloggers as big business - so what's yours? HBIC at Unicorn Booty, one of the most followed LGBT sites in the country. Co-owner of Booty's Street Food, serving up street food small plates in New Orleans' Bywater. Nick Vivion is a travel journalist and entrepreneur based in Bywater, LA. During the day, Nick writes for B2B travel technology company Tnooz. 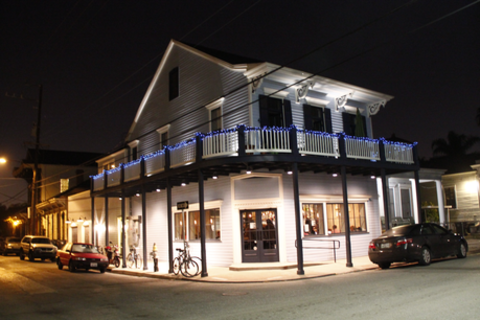 By night, Nick co-owns Booty's Street Food, a new restaurant and bar in the Bywater neighborhood of New Orleans. Nick is passionate about culinary adventures, and is excited to bring his passions for travel and food into a physical setting at Booty's. Serving street food from around the world, the restaurant is the exciting culmination of a "blog-to-brick" strategy enacted over 18 months ago.